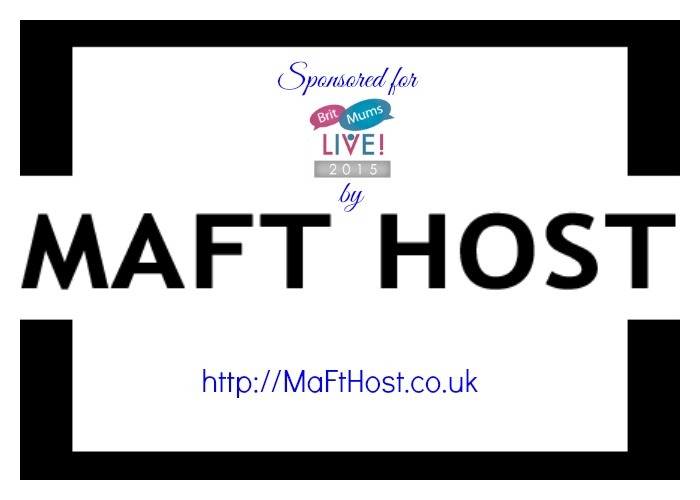 I am pleased to announce that this year I shall be going to Brit Mums Live sponsored by the awesome MaFt Host. This blog has always been hosted with MaFt Hosting and I would recommend his service to everyone who is looking to either self-host for the 1st time or move to another hosting company. A small company with big customer values, and providing a friendly service. In two years of being hosted with MaFt Host I can’t remember any unscheduled down time or problems, with any maintenance being carried out overnight during quiet traffic periods where ever possible. MaFt is always available at the end of a tweet or email to answer any rare problems you may encounter, or to help technophobes like me. I look forward to meeting you all in 4 weeks at Brit Mums Live. This entry was posted in Days Out, My Stuff.